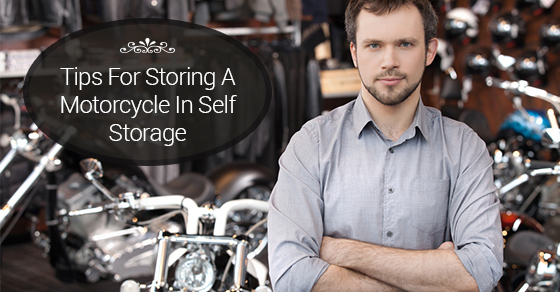 Can You Store A Motorcycle In A Self-Storage Unit? Whether you are moving overseas temporarily, on vacation for a few months, or live in an area where the weather is only good enough to ride your motorcycle for a few months out of the year, storing your bike is likely a major concern. Many people, when they don’t personally have the space to store things like motorcycles, turn to outside storage facilities for help. 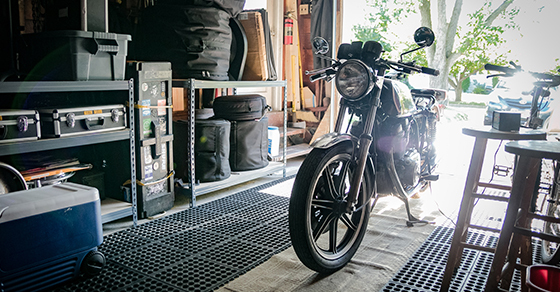 Self-storage units are great places to store your motorcycle, but if you are worried about storing your motorcycle in a self storage unit, below is some information and tips to put your mind at ease. Choosing the right option. The main consideration to keep in mind when selecting a self storage location for your bike is whether or not it will be protected from the elements. Boats and RVs can handle being stored outside because they are sturdier, but your motorcycle, and its inner workings, are more or less exposed to the elements. Features and amenities. The main amenities that you as a bike owner will want to look for in a storage space are: climate-controlled storage units, drive-up access, additional security and 24-hour access. Climate-controlled units will ensure that the temperature and humidity levels are optimal and that your bike isn’t under any undue weather stress; drive-up access makes it simple to load and unload your bike; additional security, including surveillance cameras and onsite security will provide you with peace of mind while the bike is not with you and 24-hour access will let you get in and out at your convenience. Storage unit size. A 5- by 10-foot storage unit is generally big enough for you to comfortably fit your bike and any accessories you would like to store with it, such as helmets or jackets. Some facilities also have short-term vehicle storage options for their customers if you are planning on going out of town multiple times a year and need a place to store your bike each time. The bottom line is: yes, you can absolutely place a motorcycle in self storage. If you do your research, prepare your bike for self-storage as you would during any other down time, and make sure that there is ample space and appropriate climate controls within the unit to protect your bike, there is no reason why you shouldn’t be able to keep your motorcycle in a self-storage unit for an extended period of time.